No, it isn't a scam: you really can make money by spending a few minutes with the right smartphone app. 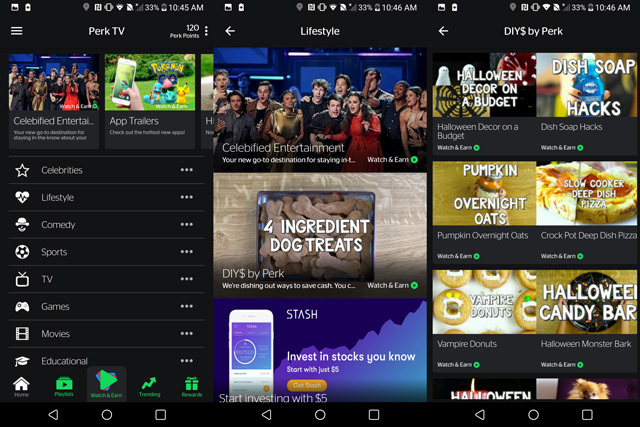 While you won't make enough to quit your day job there are tons of apps that pay you for viewing ads, taking surveys or shopping in certain stores. But when you're looking for the right app to pad your budget, you have to be careful that you're not just wasting your time. It can be hard to tell just how much you can make with these apps because most of them reward points instead of cash. While you can usually exchange these points for cash or gift cards, with many different ways to earn and spend points it's tricky to say just what you're getting for your efforts. 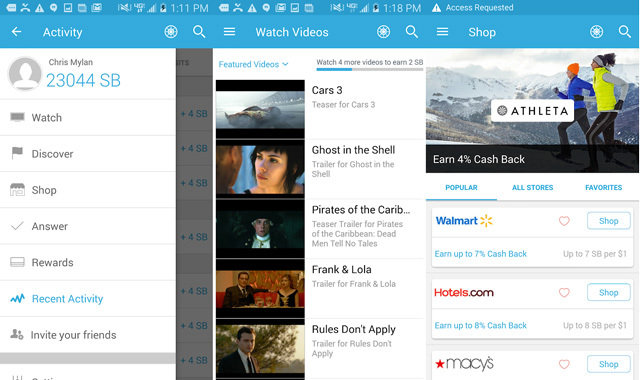 Some apps pay just pennies, but earning those pennies for simple tasks—like watching an advertisement—can make them add up quickly. Others will pay a few dollars each time you use them, but require more time and effort on your part. So are you ready to start earning a few extra bucks with a few clicks of your smartphone? We road tested and rounded up our favorite 9 apps that pay you real cash. Would you be willing to view a few ads a day in exchange for cash? If so, that's exactly what Fronto offers: this app displays news and ads on your Android's lock screen. 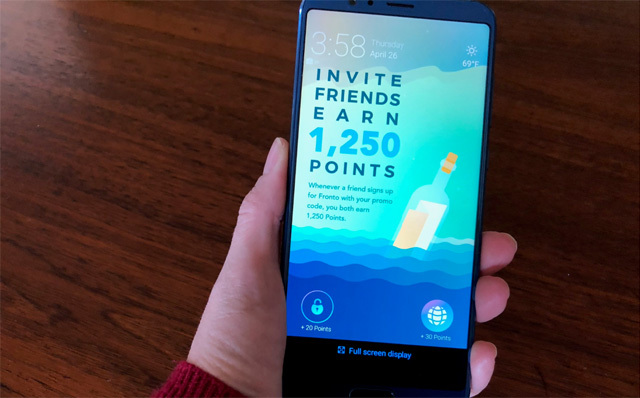 You'll earn points for viewing or interacting with each ad (plus occasional bonus points), which you can exchange for cash, coupons or Amazon gift cards. While earnings aren't high, the effort on your part is almost non-existent—and the points earned will add up. One thing to be wary of with Fronto is bandwidth and battery use. Downloading and displaying ads will take a toll on both, and if you already struggle to keep your phone charged all day this may not be a top choice. The advantage of Swagbucks is the number of ways it lets you earn points. Most things you already do online—searching, shopping, playing games, taking surveys, watching videos and lots more—can earn you points. But that variety makes Swagbucks a bit more complicated simply due to the number of different activities you can do to earn points. Swagbucks has eight different apps for iPhone (though just two for Android) plus activities on its website and browser toolbar. That offers a ton of variety but makes it all too easy to while away your day while making just minor earnings. If you like Swagbucks, we'd recommend using a point-earner or two that fit fits easily into your digital routine, letting you earn points without going crazy by trying to do absolutely everything. Though you don't earn much per activity, those points will add up if you use Swagbucks every day. If you enjoy the thrill of playing the lotto, give Lucktastic a try. 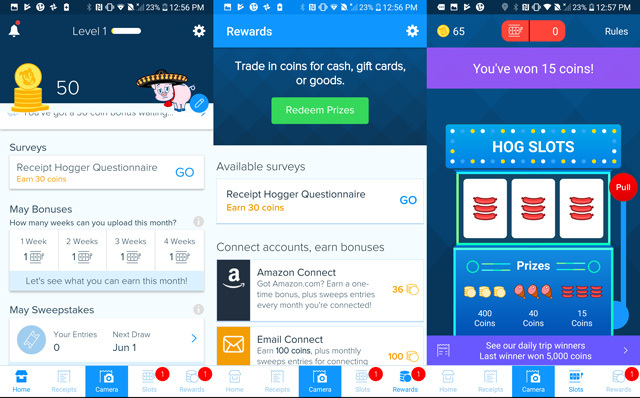 It's a free app that lets you play games akin to scratch-off lottery tickets—and like lotto tickets, your rewards can be pretty random. Every day you get a handful of new tickets to scratch off, each of which will reward you between five to 10 points. Eventually, you can turn those points in for cash or gift cards, but just like the lotto, you have a chance to win more instantly—up to $10,000. Scratching off your tickets will only take a minute or two, and though the earnings are small (unless you win one of the big prizes), they add up over the course of the month. Plus, because it's free you've really got nothing to lose—beyond a tiny amount of time—by playing. Shoppers, this one's for you. 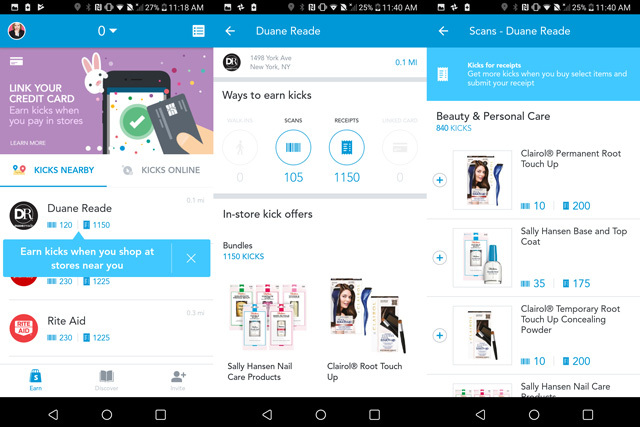 Shopkick gives you points for visiting stores, browsing (and scanning product barcodes while you do), and buying certain items. Different stores will have different offerings, some giving you points for just walking in the door while others will only reward you for buying products. Offers change frequently, so keep an eye on the app to see which stores are offering points before you head out shopping. Though Shopkick requires a bit of effort to keep up with the available rewards, it's a good way to earn some extra cash just by doing the shopping you're already doing. Think of Ibotta as a coupon or rebate system, offering rewards for purchases you make. Unlock offers for specific products at specific stores in the Ibotta app—by just clicking on them or sometimes watching an ad or answering a question—and then take a photo of your receipt as proof of purchase. Most of Ibotta's offers are focused on grocery items, but there's a growing selection of clothing, electronics and other retailers on offer for deals no matter what you're shopping for. Adding Ibotta to your grocery shopping routine is relatively low effort—especially if you're already used to clipping coupons—and the earnings can add up relatively quickly, depending on your shopping habits. If unlocking Ibotta's rebates is too much hassle, try Receipt Hog, which rewards you for shopping in fewer steps. 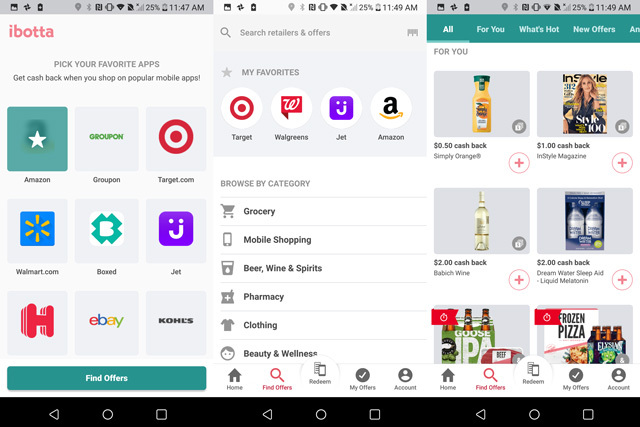 Just scan receipts when you shop—the app primarily supports grocery and drug stores—and collect points for each scan based on how much you spend. If you scan at least one receipt a week, you'll also have the chance to play a slot machine style game that can earn you extra points. Receipt Hog makes the money to reward you by collecting your shopping data—minus your personal information—for market research, so if you object, you'll want to stay away. But if that's not a problem, Receipt Hog is a straightforward way to earn a bit of extra cash for your everyday shopping. Becoming a mystery shopper has never been easier. Mobee offers mystery shopping "missions" at shops and restaurants around the country, asking you to shop, take photos and answer a few questions about your experience. The missions are relatively quick to complete at 10 to 15 minutes each, and if there's a mission convenient to where you're shopping or running errands, it's usually worth your while. 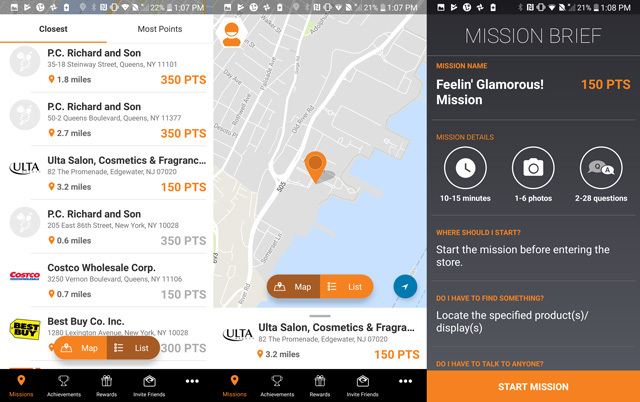 As long as you aren't going out of your way to do a mission, Mobee offers good rewards for the time spent—from $1.42 to $10.00 per mission (though expect to spend more time for higher reward missions). The only downside is that if you're in a rural area, you're likely to find Mobee's missions well out of your way, meaning the time you take to get there could be more than the reward is worth. Get paid cash for your opinions! 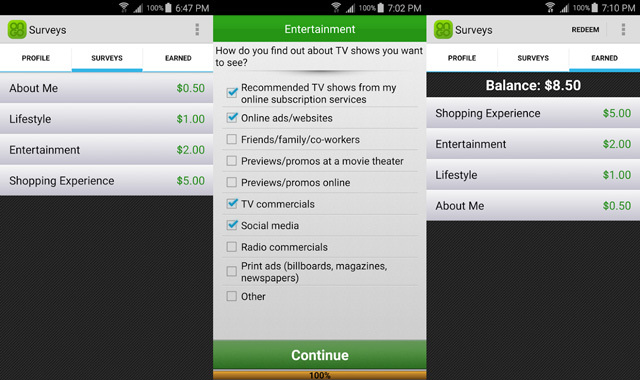 Surveys on the Go lets you anonymously answer survey questions on a variety of topics for market research. The downside to making money by taking surveys, however, is that sometimes they can take a lot of time for only a small reward—and, worse, sometimes you'll answer a number of questions only to be told you don't qualify for the survey. 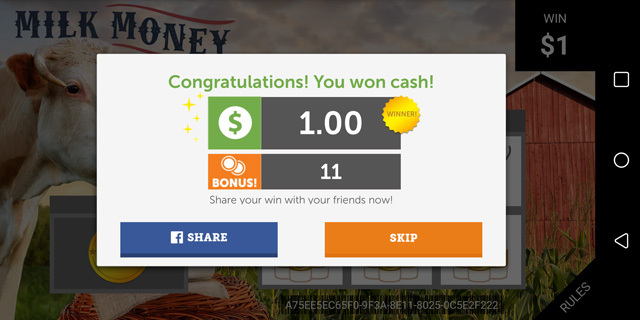 However, if you don't mind in spending some time answering questions in exchange for cash, Surveys on the Go definitely has advantages over other survey systems: it's up-front about how much money you're making (listing it in cash rather than points) and it pays cash rather than gift cards. Updated on 5/7/2018 with new app and payout information. Swagbucks has been around for years, and I’ve racked up enough to do all my Christmas shopping on Amazon every year. The apps make earning even easier, and faster. From this which is best app to earn money pls comments.